Since Hainan Province was designated as a special economic zone (SEZ) in 1988, this southernmost province in China has been committed to the reform and opening up for 30 years straight. From the days when “100,000 talents went to Hainan” to the current construction of an international tourism island, the thirty-year history of the southern Chinese island represents a brilliant chapter of China's reform and opening up. The three decades of valuable experience and tempered memories have become priceless assets for the future growth of the country. As early as 110 B.C., rulers of the Han Dynasty (202 B.C.-A.D. 220) exercised jurisdiction over Hainan Island and formally annexed it into Chinese territory. Considering ancient production methods, the people of Hainan endured a harsh tropical monsoon climate featuring perpetual summer. For a long time, it was considered as a wild land and saw little fundamental change until very recently. In 1979, shortly after China implemented the reform and opening-up policies, the country began to set up SEZs in Shenzhen and Zhuhai along the southeastern coast in a bid to explore new development paths. 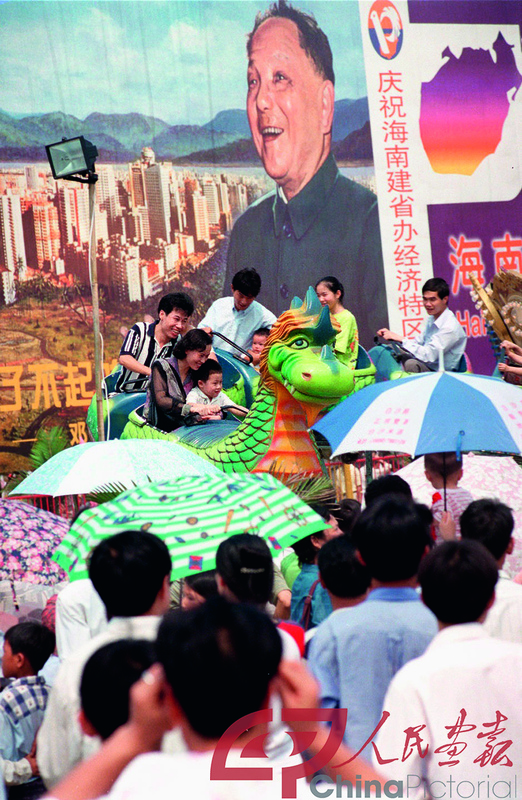 On April 13, 1988, the first session of the 7th National People's Congress passed the Decision on Establishing Hainan Province and the Resolution on Establishing a Special Economic Zone in Hainan. On April 26, the Hainan Provincial CPC (Communist Party of China) Committee and the Hainan Provincial People's Government were formally inaugurated,making it the youngest province and the largest SEZ in the country. Since its establishment, the Hainan SEZ has achieved breakthroughs in many areas: pioneering the implementation of the socialist market economy, leading the reform of the administrative management system characterized by the policy of “small government, big society,” and honing the country's implementation of the visa-on-arrival policy, all of which have guided the development of reform and opening up in related fields in China. In April 2013, Xi Jinping, general secretary of the CPC Central Committee, emphasized that Hainan, as the country's largest SEZ, maintains many advantages and great potential for development, during his tour to Hainan Province. He encouraged the province to strive to become a powerful example for the practice of socialism with Chinese characteristics. Become a leader in carrying out a “multiple-regulation-as-one” reform at provincial level by planning its construction as a large-scale scenic area and a big metropolitan zone. Launch a new round of reform of the agricultural land reclamation system to divorce enterprises from administration, which drastically stimulates the vitality of land reclamation.• Fully implement the reform of the judicial system. Continuously further the reform of the commercial system and improve the business environment. Pioneer a campaign to build an “All-For-One” Tourism Demonstration Province. After its designation as the country's largest SEZ, Hainan has generated new ideas and blazed new trails for economic development. Over the past 30 years, Hainan's major economic indicators have multiplied dozens to hundreds of times. Compared to 1987 just before it was first established as a province, in 2017, Hainan saw a 22-fold increase in its regional GDP, an increase of 226.8 times in local general public budget revenues and a rise of 30.3 times and 24.7 times in the incomes of urban and rural residents, Respectively. Chi Fulin, president of the Hainan-based China Institute of Reform and Development, noted in an interview that Hainan is an island economic entity. 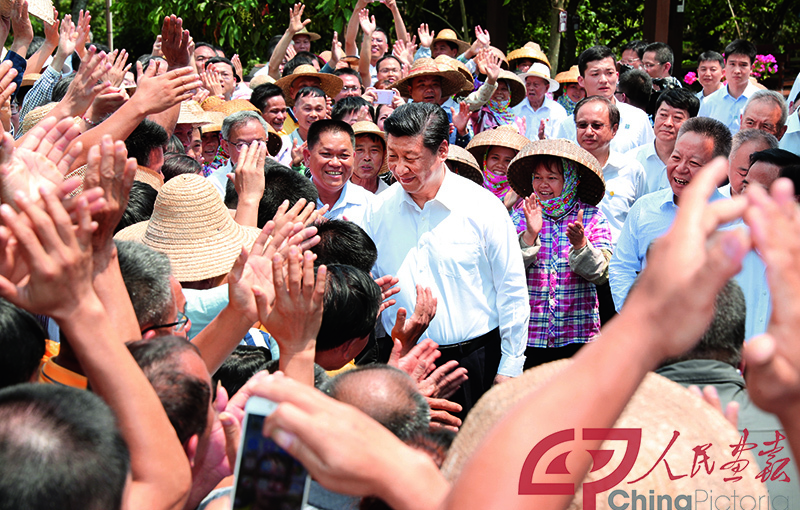 Hainan could not have the strength it does today without the reform and opening-up policies. Opening up demands modern infrastructure. Hainan has acceleratedconstruction of a road network, fiber-optic network, gas network, water network, and power grid. 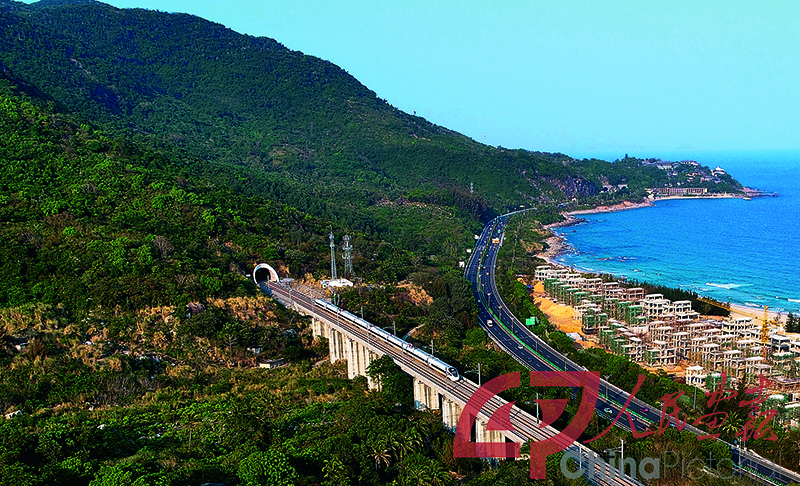 In terms of roads, the world's first round-island high-speed rail began operation in Hainan in 2015. It now takes three hours to make a full circle around Hainan Island. In 2016, Boao Airport was completed and opened. Two larger airports, Meilan and Phoenix, are currently under reorganization and expansion, and the construction of an expressway network has started. In terms of internet access, by the end of 2017, 99.9 percent of Hainan's cities and towns and 2,573 administrative villages had been covered by a fiber-optic broadband network, and all administrative villages received 4G signals. As far as the gas network is concerned, the western line of the natural gas pipeline network has been completed, and the construction of the eastern line has started and is expected to begin operation by the end of 2020. Construction of the Hongling Key Water-Control Project has finished, and work on large-scale water conservancy projects such as the Hongling Irrigation District and the Nandu River Water Diversion has accelerated. These two projects are expected to provide highly efficient water-saving irrigation for more than 15,000 hectares of farmland. As for the power grid, multichannel power supply measures such as hydropower, thermal power, nuclear power and wind power have been implemented in Hainan. Today, all villages in the province have reliable electricity. Today, Hainan has opened its door wider to the outside world and enjoys continuously growing internationalization. It can be reached by 58 international air routes, 337 domestic and international cargo routes and 14 cruise routes. Taxfree shopping policies on the island have resulted in an amplifying effect. The province offers visa-free and landing visas for 26 countries and has established friendly ties with 56 citiesin other parts of the world. 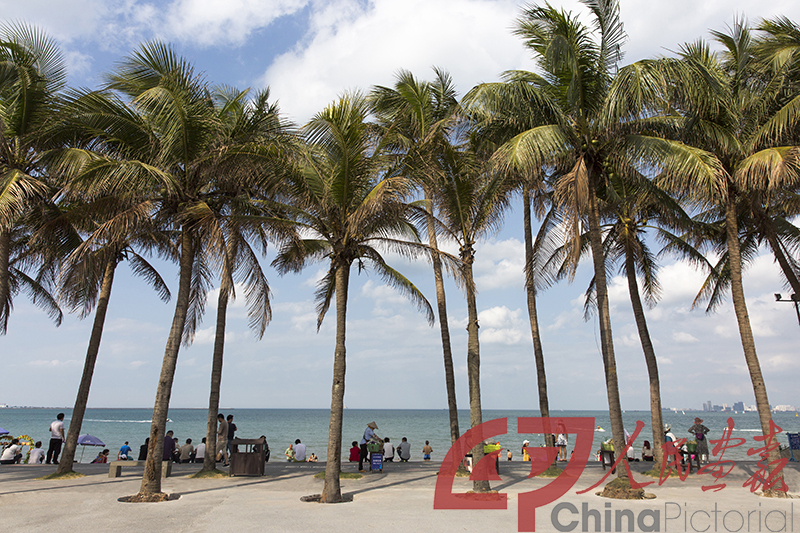 In 2017, the volume of Hainan's annual inbound tourists exceeded one million, reaching the target set by the provincial government three years ahead of schedule. Opening up requires a sound investment environment. On February 5, 2018, the Wall Street Journal published a story titled “Administrative Approval Reform in Hainan to Attract Overseas Investment,” which reported that Russian IT engineer Denis Kleszkov submitted a business registration application form to a local administration at 5:00 p.m. and obtained the license the next morning, stunning the applicant and his shareholders. Like this Russian company, many foreign investors have experienced Hainan's determination to optimize the business environment to attract investment from overseas. Opening up requires a beautiful ecological and cultural environment. Over the last few years, Hainan has launched a series of strategic campaigns including establishing an “All-For-One” Tourism Demonstration Province and implementing the Beautiful Hainan initiative. With focus on the development of livable and tourism-oriented projects as well as the promotion of the integration of ecology, production and life, the province has already established 406 uniquely featured villages and aims to have more than 1,000 by 2020. Hainan has amended the assessment priorities of 12 cities andcounties to focus on residents' income and the ecological environment. In this way, more space is open for transforming development patterns so that Hainaners and people from other parts of the world share the benefits of its favorable ecological environment. 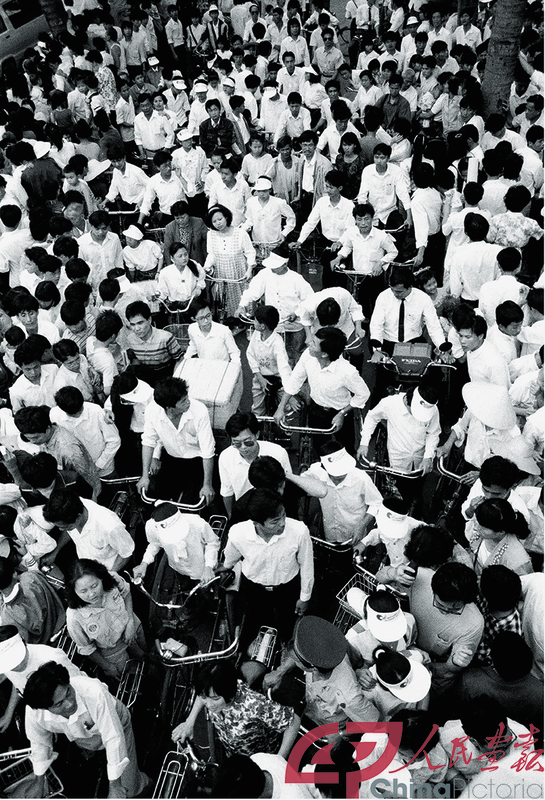 Over the past 30 years, the journey of Hainan's reform and opening up has only just begun. As specified by Liu Cigui, secretary of the Hainan Provincial CPC Committee, through continuous opening and cooperation, Hainan will become a big window showcasing China's efforts to build a community of a shared future for mankind and realize the Chinese Dream of the great rejuvenation of the Chinese nation. The world can expect Hainan's reform and opening up in the new era to continue improving and expanding. Under the strong leadership of the CPC Central Committee with Xi Jinping at the core, the province has its best days ahead thanks to the reform and opening up.